I know Big Books are mostly used for elementary-age students, but they are also beneficial to older ESL students. The region I live in and taught ESL in has a huge Hispanic population, and because I am bilingual (I will blog some of my experiences one day…university in Madrid, Spain, and living in the Yucatan Peninsula of Mexico, I was always blessed with newcomer, Hispanic ESL students. I had ESL students who were 16 years old reading Big Books! Why, because they were pre-schoolers when it came to reading in English! You know what? They never complained. I was able to check the Big Books out of the libraries from the elementary schools. I will talk about Big Books for several weeks. The first idea is to make sure EVERY student reads the book. It may take two weeks, but who cares? Allow your stronger students to read first, and by the end of the time period you have allotted especially after 15 or more times of hearing it, your weakest students will have read as well. It is more holistic than phonics/blending, but that’s okay! Ammon and Carter really enjoy If you give a Moose a Muffin, and I am looking forward to buying more. I never thought about providing big books for ESL students. Like you mentioned, I only connect big books to elementary school aged students; however, big books would be a great way to create connections between literacy and the English language with ESL students. 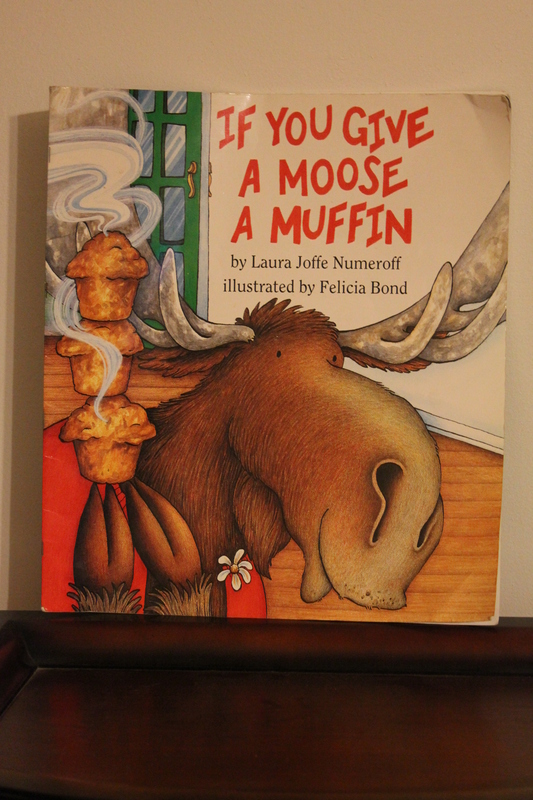 “If you Give a Moose A Muffin” is a great book. I enjoy the entire series. I believe “If you Give a Pig a Pancake” is my favorite! Talisha, if you know a web-site where we can purchase Big Books, please let us know. Of course, Amazon is a great place to purchase big books, but I have purchased some cheap big books from this store inside of Northgate Mall, which I can’t remember the name of it at the time. I purchased some great big books for less than 7 dollars. Like my sister, Jessica, mentioned our aunt gave both of us a huge stack of BIG books since she is retiring in May! Even though big books are typically used in the elementary grades, I don’t know about anyone else but I really enjoyed reading through them! 🙂 I know that if I enjoy big books the children will too including the ESL students no matter how old they are. I too had never thought about the concept of teaching ESL students with big books. However, it makes sense as to why they would benefit from big books. Thanks for the idea of teaching ESL children through big books! I can’t wait to get to use my stack of big books in my future classroom! You were lucky to inherit great teaching tools. OH my goodness! I love this! This will be perfect for my class because I have a wide variety of readers. Some are very strong then some are very low. There is little in between. Have my students read this book is an excellent way to breed confidence among them. It will also help in teamwork since I can have my higher level students help my lower levels. Thank you! I’m very excited about this idea! I love this idea. It makes sense that using a big book would be just as effective with elementary students as it would ESL students who don’t speak English well. When you say that you would have every student read the book do you mean individually, in small groups, or read it to the class? I really like this idea. It makes sense that big books would be good for ESL students who are learning language and literacy; however, I have never thought that. When you say that every child reads the book is the child reading the book to the teacher, a small group, or to the entire class? Reading to the entire class would be great, but a student needs to READ and that is the point. It the student feels more secure in small group or reading only to the teacher then that is okay. I love using big books with my ESL kindergartners, especially with repeated texts like The Very Hungry Caterpillar and There Was an Old Lady Who Swallowed a Fly. By the end of the unit, even my weakest students can ‘read’ the book from memorization of the repeated text. It allows them to feel proud of a reading accomplishment, which in turn encourages them to be more confident about other reading challenges. I have to join with the others to say I would never have thought about making big books available to older students. I can see where they would like them, because I love to read them myself! They make a good reading station for elementary-age students also. I really like this idea! I would have never thought to use big books with older ESL students. I know that ESL students in elementary school would get experience with big books, but never middle or high school. If I taught middle or high school, I would definitely use big books with my students. Thanks for the idea. What a fun way to teach older ESL students how to read! I never thought to use big books for older students. What a great series to start with. Littles ones are always delighted to hear and read this series and I’m sure the older ones will be too. I absolutely agree with you using big books for ESL students. I use big books for every new unit in my kindergarten class and they love them! Even my struggling readers can “read” them by the end of the unit, especially the books with repeated texts. One of my students favorites is Brown Bear Brown Bear. After teaching a unit with the big book, I check out the small book to put in the reading center so there is a familiar book for them to “read” in the center and all center long I hear my students reading Brown Bear to each other!!! Brown Bear is the perhaps my favorite rhyming book. Carter, Ammon, and I love it. I’m surprised you didn’t have any issues with students reading what was clearly a childrens book. I think it’s a wonderful idea, I just think I would have assumed that they wouldn’t respond to it out of pride, or other issues, and therefor I would never have thought to actually try it. Did you find you had any students who felt it was beneith them due to content? Or was it universally accepted?